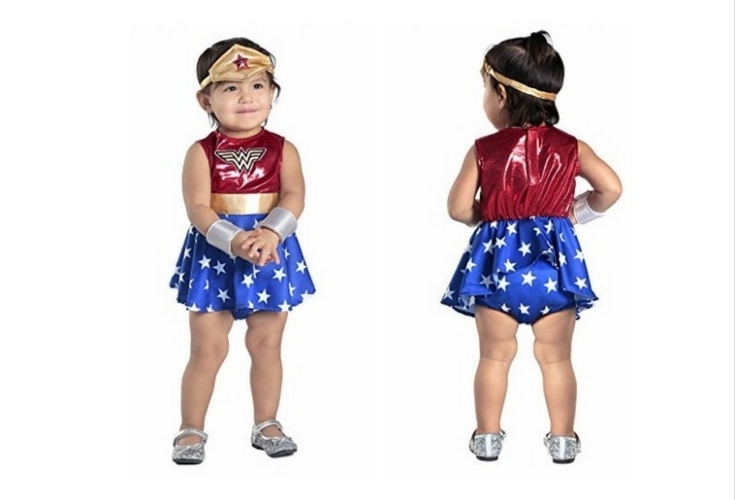 Perhaps the most difficult part of choosing the perfect Wonder Woman costume for toddlers is trying to decide which of the many different designs to buy. Should you go for the classic Lynda Carter look? Or the new Gal Gadot outfit in the 2017 Wonder woman version? And it doesn’t stop there! 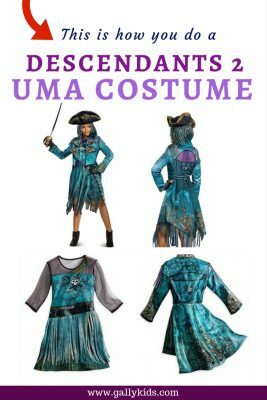 There are even tutu-style costumes available too! 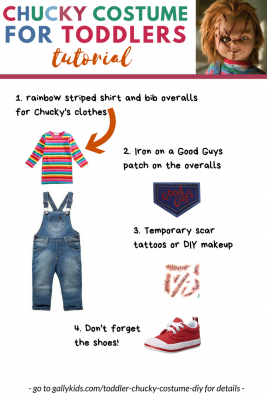 Anyway, in this Gally Kids article, I show you all the different styles so you can compare and decide which one is best for your toddler. 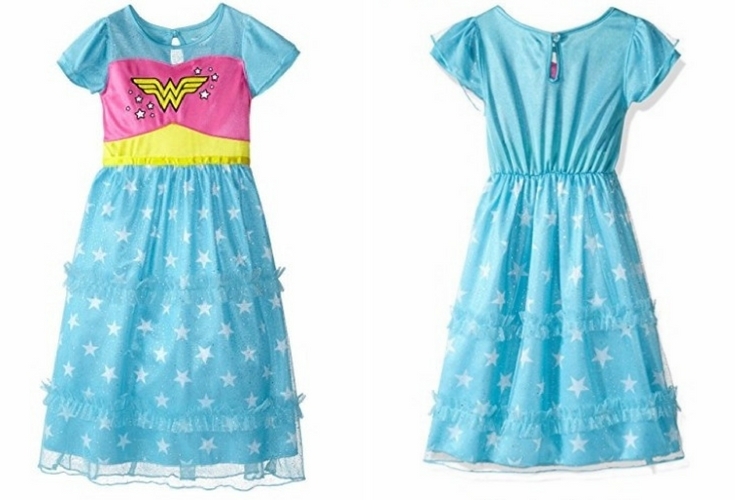 Which Wonder Woman Costume For Toddlers Do You Like Best? 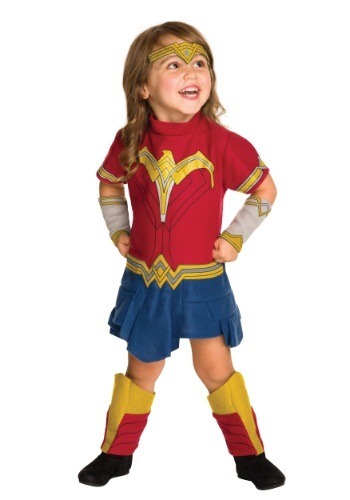 It’s not always easy to find a Wonder Woman costume that’s specifically made for toddlers. But this costume clearly states it is. So it comes first on this list. And what I like most about it is that you don’t have to add accessories to complete the costume. It already includes the dress, gauntlets, tiara and the shin guard. Here’s another one that’s made for toddlers and just as perfect for babies, too! In fact, the smallest size available is 0 – 6 months! What’s unique about this costume is that it includes a diaper cover. That’s right! So even that little backside is all covered Wonder-Woman style. The costume includes the dress, diaper cover, headband and wrist cuffs. 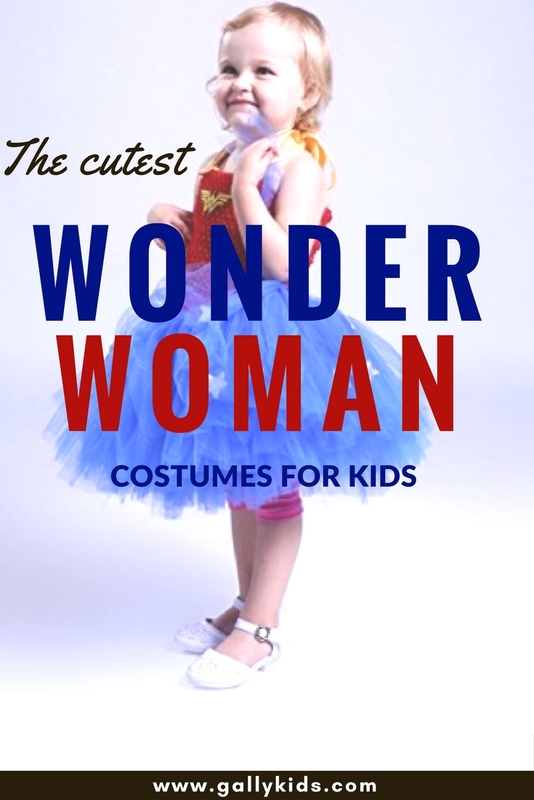 How cute and adorable is this toddler Wonder Woman costume? The cape and the boots are what makes this a unique and very realistic costume. Diana Prince would agree, don’t you think? This costume includes the dress, the head and wrist bands, a cape and the boot covers. The cape attaches to the shoulder part of the dress and the boot cover works using Velcro strips. The only downside to this costume is that it’s not available for very small toddlers. Apart from that, it should fit 2T, 3T and 4T sizes (refer to the sizing guide if in doubt). check it out! Have a look at this tutu dress and you can’t stop yourself from saying “awww!”. How adorable is this? 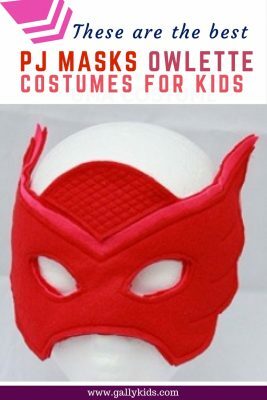 I don’t think your little one would want to take this off. And you’re most likely going to take so many pictures (do send them to us so we can post them here!). The top part of the dress is crochet and the tutu is made of tulle. The tutu dress above is enough to make a costume. 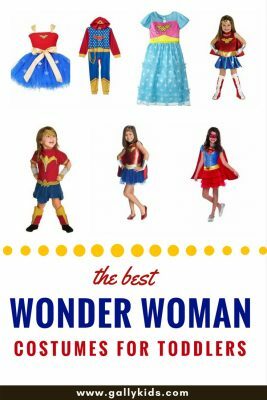 But if you want to complete the Wonder Woman look, here are some accessories that a child may just want to be added to her costume. For the foot wear, a pair of red boots/wellies. 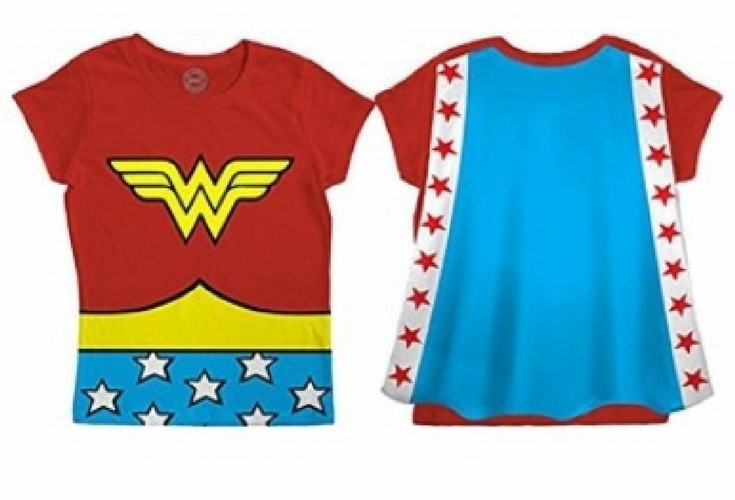 If you would rather buy a set of Wonder-woman inspired clothes that your toddler can wear not only for Halloween but for other special occasions too, then you might want to have a look at Wonder Woman clothe below. Here are some PJs, rompers, leotards, cute t shirts, and dresses. These clothes don’t look exactly like the Wonder Woman outfit in the movies, but they are very wearable. 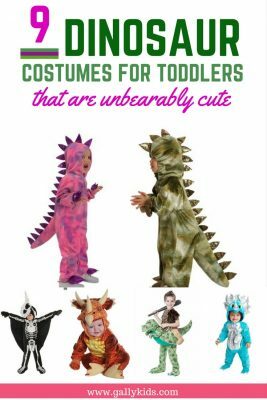 And ones that your kids can wear not just on Halloween or pretend play. 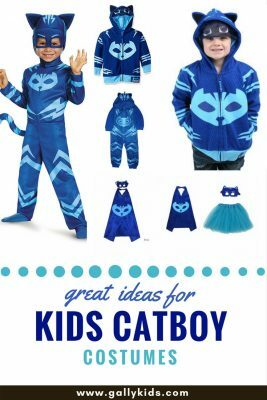 I’m sure you’ll find one that both you and your toddler love the look of. 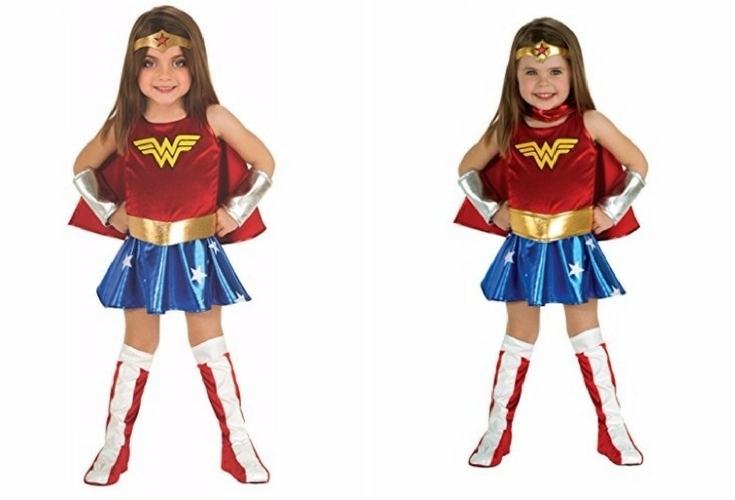 This may look nothing like any of the Wonder Woman costumes, but look at how cute it is. And the good thing is that it’s available in 2T size. This is made of 100% polyester fabric and makes for a great night gown. But it can also be an everyday dress — as you’ll find your toddler will not want to take it off. Good quality nighty at an affordable price. So who says you can’t go treat or treating in Pajamas? 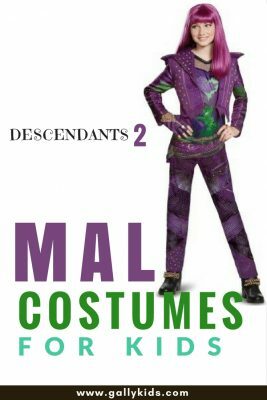 Shoot two birds with one stone – a pajama for everyday wear and special costumes for Halloween. 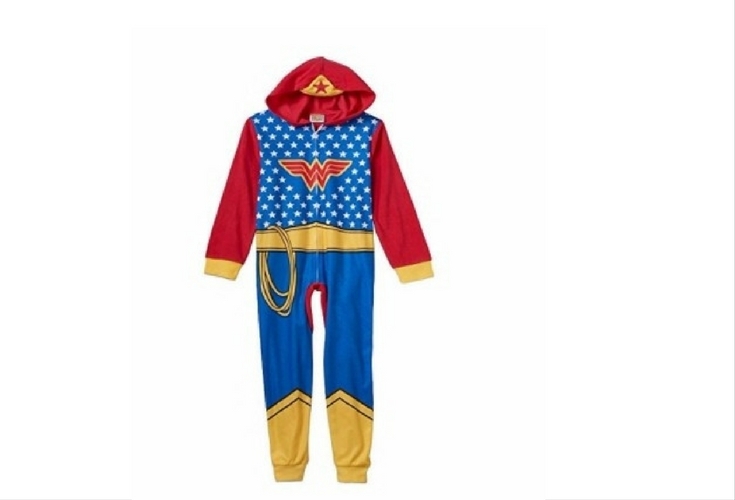 This onesie also has a hood which has an image of Wonder Woman’s tiara. There are many wonderful and amazing DIY tutorials on how to make your own Wonder Woman costume. If you have the talent, time and inclination, then this tutorial is well worth watching and following. However, on this page, I’ve scoured the internet for no-fuss instructions on how to make your child’s Wonder Woman costume. If you do end up making one of these, we would love to see a picture of your creation. And we’ll post it here too! ⚠️ This video has a long drawn-out introduction. Forward to mark 2:14 for the tutorial. 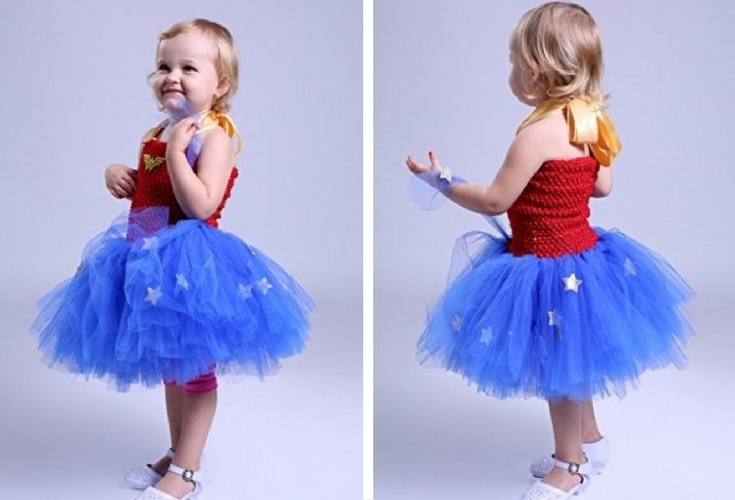 The making of this Wonder Woman tutu dress has three parts. This is easy to make. You can just make this, buy a Wonder Woman shirt with a cape, make the accessories and you’re done. Here’s the easiest way to make Wonder Woman’s tiara. It’s the Lynda Carter version. All you need are craft paper [or sheets of foam paper(? )], empty toilet paper rolls, glue, string and glitter. Do you like any of the costumes featured on this page? Are you buying one of the costumes here or are you making it yourself? Whichever you decide, do send us some pics, so we can post it here.